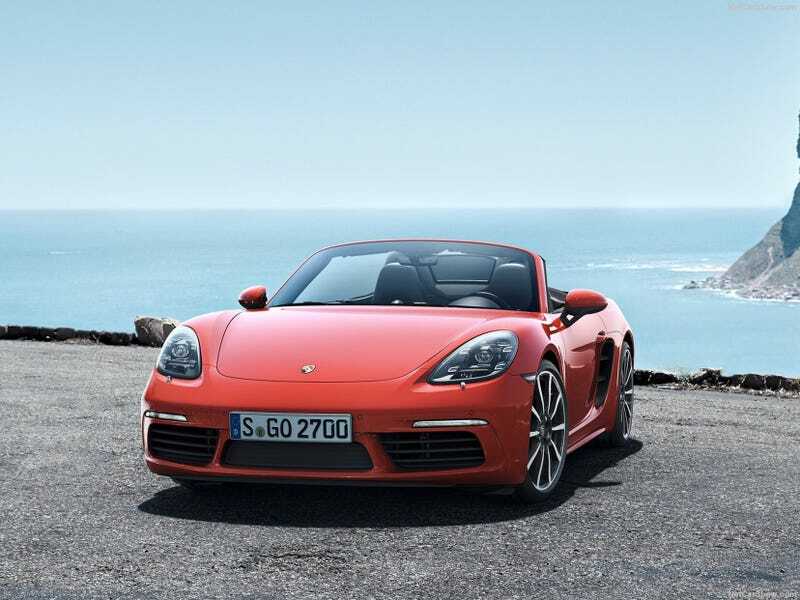 I think the 2013 Boxster looked better, honestly. The base 718 Boxster is powered by a 2.0 liter flat-4, which produces 300 hp. The S pictured here produces 350 hp from a 2.5 liter flat-4. The base 718 Boxster does 0-60 in 4.7 seconds, and a 6 speed manual is still standard.